Despite the fact that most women have normal, uncomplicated pregnancies, with only minor discomforts, pregnancy complications are not that uncommon. Hundreds of thousands of women have pregnancy complications every year. 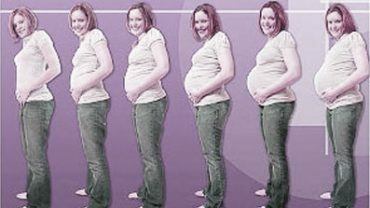 Among women who become pregnant in the United States each year, at least 30% have a pregnancy-related complication. 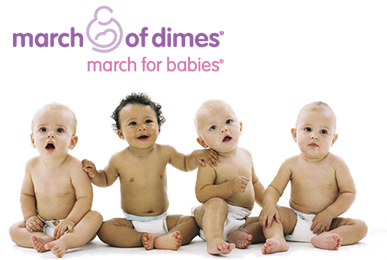 Every year in the United States, approximately 875,000 women experience one or more pregnancy complication, about 467,200 babies are born prematurely, close to 307,000 babies are born with low birth weight and over 154,000 babies are born with birth defects. It’s predicted that this year, 1,050,000 women will develop hypertension, 420,000-840,000 will experience abnormal bleeding, 380,000 will go into labor too early, 210,000 will come down with viral infections, 139,000-420,000 women will have babies with intrauterine growth retardation, 126,000-504,000 will have gestational diabetes and 42,000 will have too much amniotic fluid. The majority of problems are relatively mild, but some carry significant health risk to both you and your growing baby. Complications can range from minor (morning sickness, leg cramps, edema, etc) to more serious complications that may need medical intervention including ectopic pregnancy, miscarriage, incompetent cervix, bleeding in pregnancy, intrauterine growth retardation (IUGR), placenta previa, placental insufficiency, placental abruption, premature rupture of membranes (PROM), low or excessive amniotic fluid, preeclampsia, (pregnancy-induced hypertension) and eclampsia. If your doctor or midwife identifies a potential problem, they may refer you to a perinatologist, who is a specialist that handles pregnancies that are at higher-than-normal risk for complications. Under certain circumstances, a neonatologist may be called in to advise about problems that occur (or are expected to occur) shortly after delivery. A neonatologist is a pediatrician who works exclusively with newborns, specifically those born premature, have a serious injury, illness, infection or a birth defect. There are several specific tests done during the first trimester of pregnancy, and a few screenings later in pregnancy to help prevent certain complications, or spot them early. Your doctor or midwife can provide you with a schedule for prenatal tests. Every woman can minimize her risk of experiencing complications by maintaining a healthy lifestyle, particularly by eating well and refraining from non-prescription drugs, including alcohol and tobacco, as well as receiving regular prenatal care. It’s important to follow your doctor or midwife’s advice, to lower your risk for complications and to heighten your odds of delivering a healthy baby.